So in my day job (which I love) I run the youth volunteer program at a history museum. We’re in the midst of interviewing kids to become part of our program. I love breaking the ice by chatting about favorite books. In the past week, I’ve met a surprising number of 10yos who are working their way through Harry Potter for the first time. Ah, the first reading of Harry Potter… Like setting your footprints into new-fallen snow at dawn. In a way it is hard for me to wrap my mind around a Harry Potter Renaissance. The epic and beloved books are not exactly new. But these kids haven’t even seen the movies. But when you think about it, a 10yo would have been 5 or 6 when the last HP movie came out. I enjoyed the movies, but it’s kind of gratifying that we may again have a generation of kids whose first entry into Hogwarts comes through the pages of a book. Are there children out there who have formed their own image of Harry, and he isn’t Daniel Radcliffe? Does Hermione once again have truly bushy hair and those glorious buckteeth? I am a big re-reader. The best books are those that grow with you. I have read my favorite book, Elizabeth Marie Pope’s The Perilous Gard on Halloween every year since the 7th grade. And I swear Jane makes some new slightly snarky observation (back in the day they called this “wry”) with each perusal of Jane Eyre. But there is something about setting out on your maiden voyage through a great book for the first time. To set sail in a skiff made of paper. When your mind is unaffected by anyone else’s interpretation. When you discover those new lands for yourself. When you run into perils and plot twists and don’t have the assurance that everything will turn out all right. The stakes are higher, the blood pounds faster, and you truly don’t know what to make of Snape and Sirius and Luna and the whole host. You don’t have every flavor of Bertie Bott’s Every-Flavour Beans memorized, but you can just taste the earwax. That delightful first cringe. Which book or series do you wish you could read again for the first time? Leave a comment! Thanks to Tuomas_Lehtinen and radnatt at FreeDigitalPhotos.net for additional images. Tags: Alan Rickman, Harry Potter, Nissa Montaine. Bookmark the permalink. 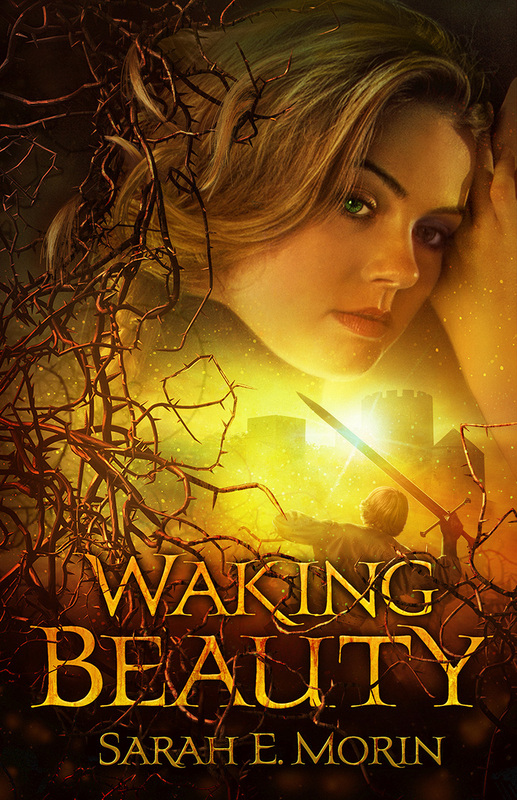 Recently, I wish I could experience Waking Beauty again for the first time, and Jill Williamson’s Blood of King’s trilogy. Oh, thanks for reading Waking Beauty, Jessica! And a Perilous Gard sister! You may have 200 points for that. I wrote my college thesis on that book. Kate is such a great protagonist. Smart, awkward, practical, brave. I have to say my number one favorite series, that I read over and over, is the Ghatti Tale (by Gayle Greeno). And I have the tattered books to prove it! Every time I pick up the first book to start again I sigh contented to be going back to that world. What a neat feeling it would be to read it for the first time again! Two other series I reread often are The Acorna Series and The Belgariad. Oh yes, the Acorna series! Haven’t thought of those in years. You just put something else on my library list, Angela! That Nissa Montaine was certainly a wise woman!